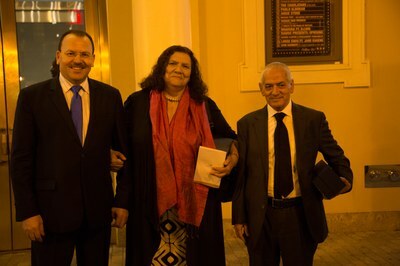 The Global Fairness Initiative honored International Domestic Worker Federation President Myrtle Witbooi as one of three 2015 Global Fairness Award recipients. This extraordinary recognition of Myrtle's lifetime achievement celebrated her years of organizing domestic workers in South Africa, and now around the world. Myrtle's acceptance of this award on behalf of the "millions of domestic workers who continue to struggle" placed the the IDWF in the international spotlinght -- as a transformational movement for women workers, immigrants and labor activists. 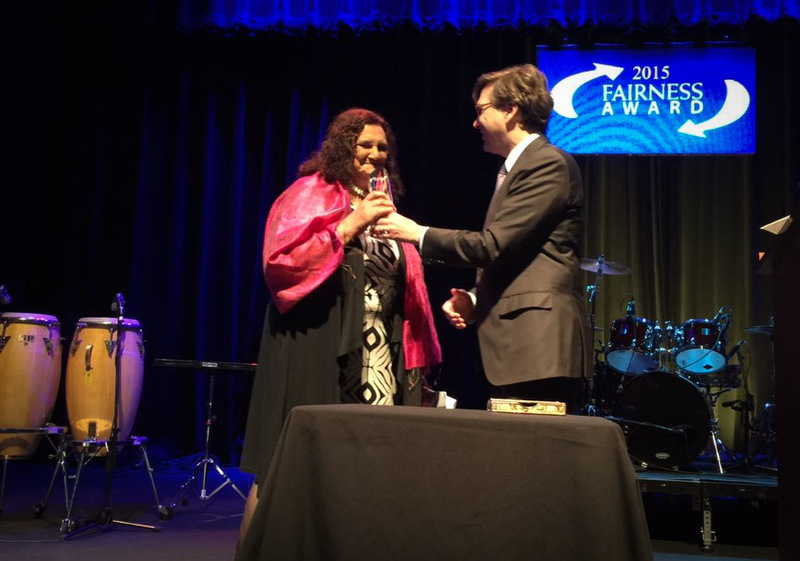 The Global Fairness Initiative honored International Domestic Worker Federation President Myrtle Witbooi as one of three 2015 Global Fairness Award recipients. This extraordinary recognition of Myrtle's lifetime achievement celebrated her years of organizing domestic workers in South Africa, and now around the world. Myrtle's acceptance of this award on behalf of the "millions of domestic workers who continue to struggle" placed the the IDWF in the international spotlinght--as a transformational movement for women workers, immigrants and labor activists. 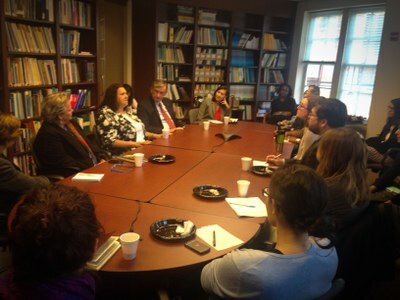 Jason Furman, Chair of President Obama's Council of Economic Advisors set the stage for this award by claiming, "It is thanks in part to Myrtle's work, that millions of domestic workers around the world are better off today." 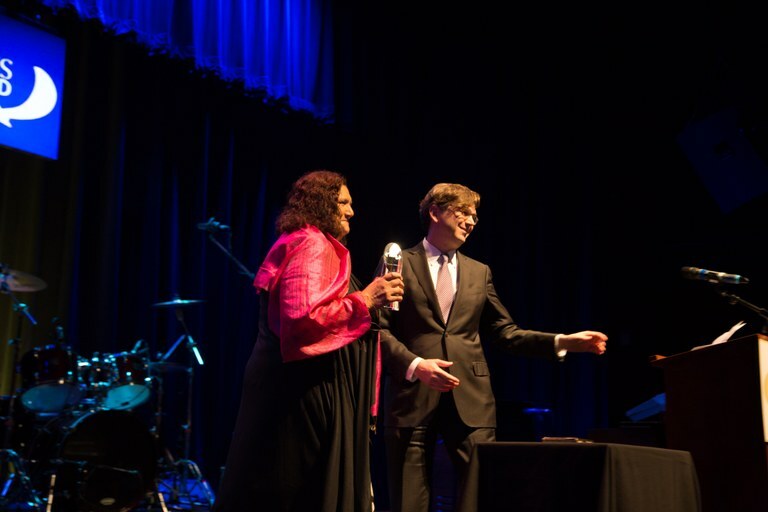 Her speech drew a standing ovation, as she accepted the award on behalf of the global domestic workers movement and reminded thet audience that "the struggle is not over yet." Along with this ceremony, Myrtle's trip to Washington DC included a series of meetings with ally organizations, government delegates, global leaders and the growing base of supporters who recognize her renowned efforts to put the IDWF and the global women's movement "on top of the map." VIVA, Myrtle Witbooi! Your words inspire, your actions teach and your voice soars in solidarity!